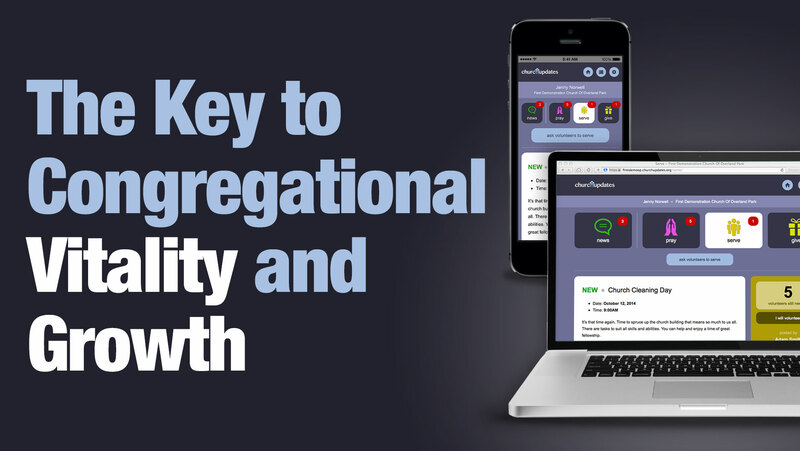 Church attendance is declining. It's not so much that there are fewer members – it's that members just don't attend as often as they once did. 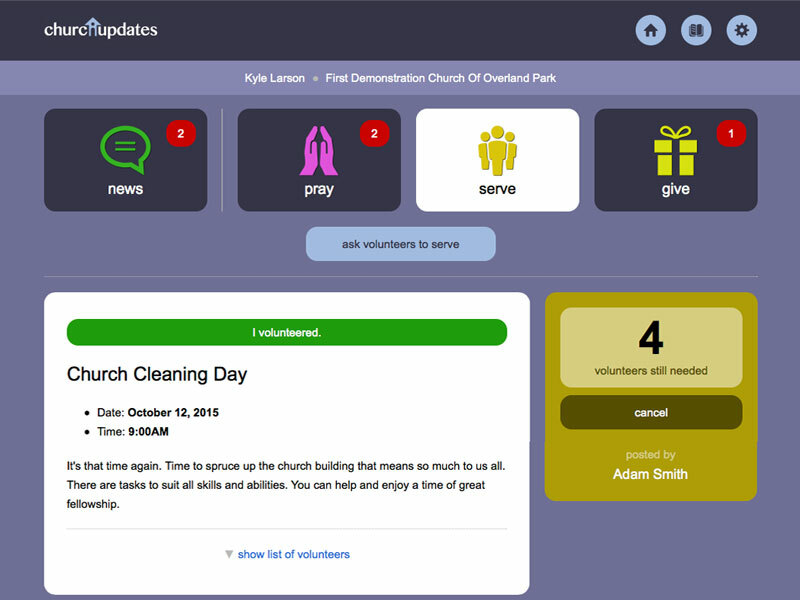 Every congregation needs a way to keep members more involved – more involved in prayer, more involved in service and more involved in giving. 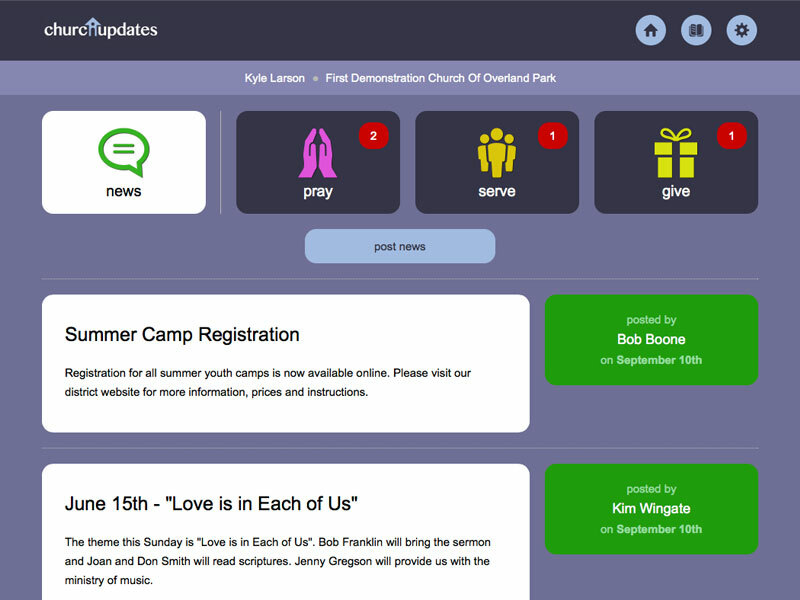 Church Updates is the free web app that's changing the face of ministry. 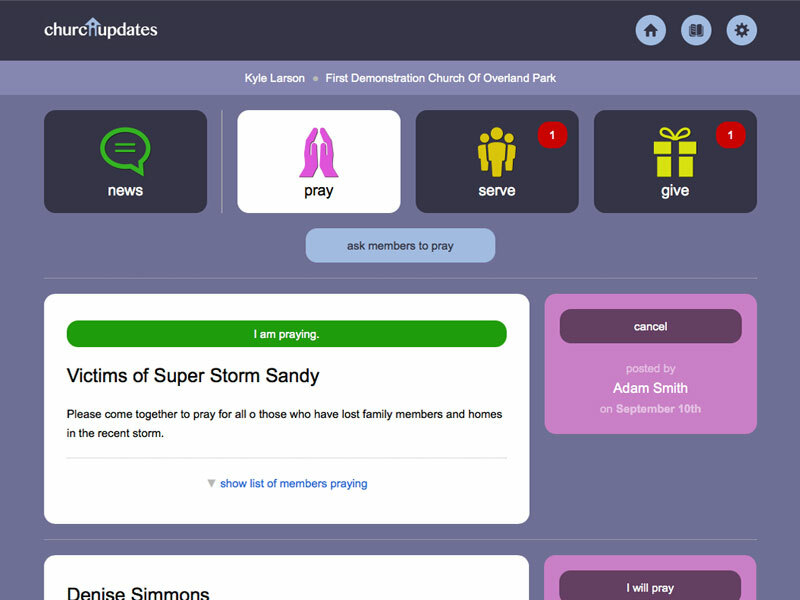 Makes it easy for members to request prayers and respond to the prayer requests of other members. 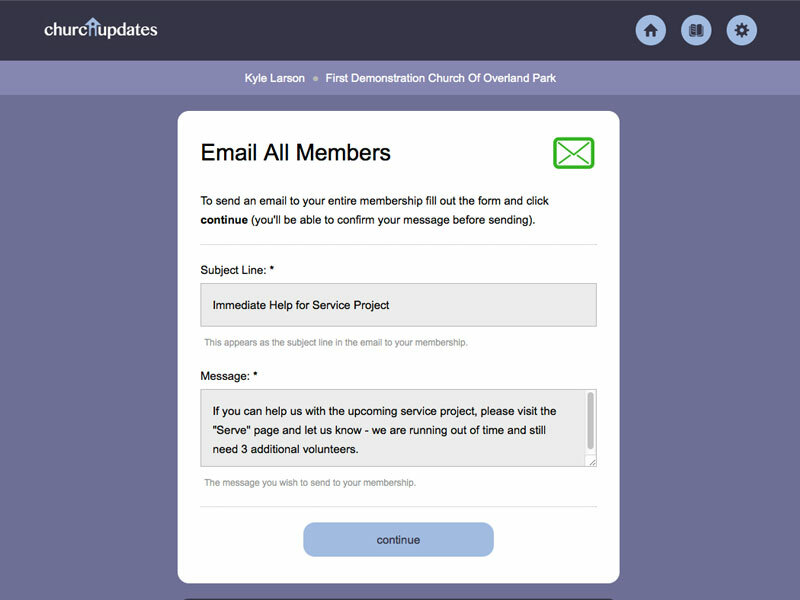 It's never been easier to ask members to volunteer or for members to schedule their service. 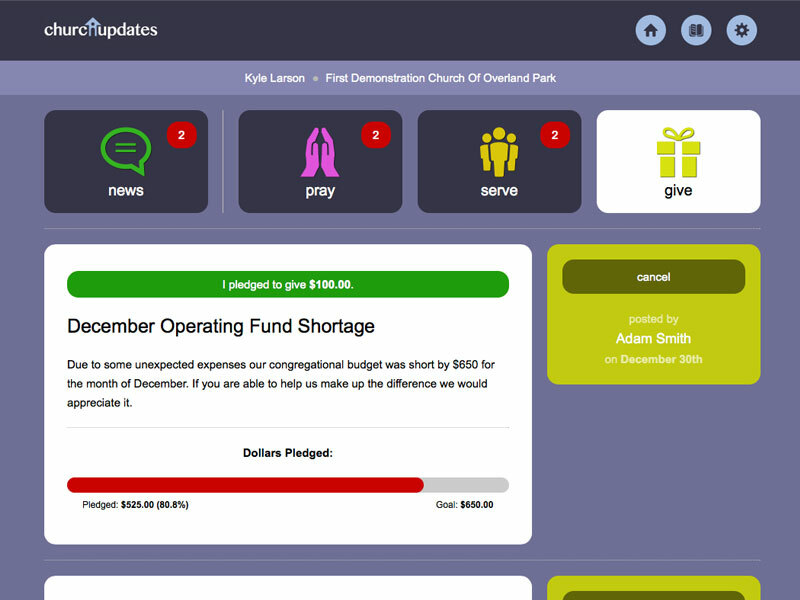 A remarkably effective way to inspire additional giving and to easily facilitate collection of gifts. 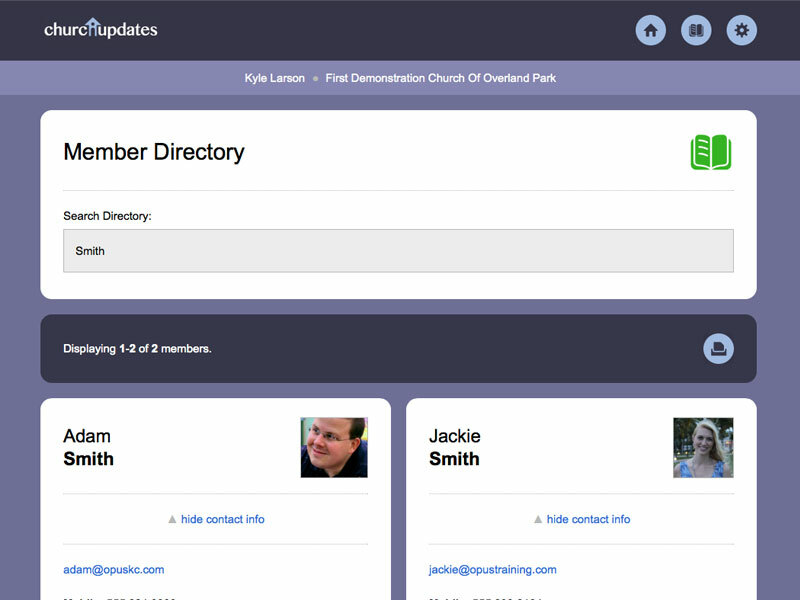 The easiest, most effective way to distribute news, announcements and other information to church members.